Group MONSTA X continues to show its global influence. 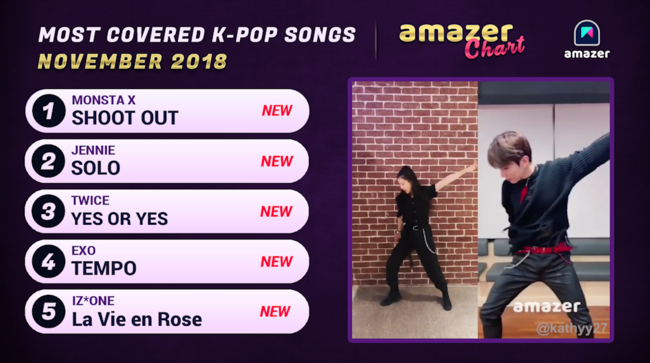 According to the global K-pop video community Amazer, “Shoot Out” by boy group MONSTA X recorded the highest amount of covers by fans in both the U.S. and Europe. Additionally, overall, people from 70 different countries covered the song, either through dance, song, or both. The seven-member boy group continues to demonstrate their global popularity by appearing on different entertainment programs internationally and doing a variety of performances. Notably, MONSTA X recently performed at the 2018 Jingle Bell concert series in the U.S.